Portrait of three young women talking and laughing in the street. We all feel it. Life is busy. There are work obligations, parenting, and an endless To Do list. With so much to do, friend time can get pushed to the bottom of the list. But, those friendships are crucial to your sanity. A girls’ weekend away is the perfect way to get the friend time you need. It’s time to laugh, relax, and remember with the friends, without all of life’s responsibilities. Here are seven essential must-haves for a perfect girls weekend. Okay, so we are biased with this one. Waterside views, luxurious suites, and an intimate, resort feel are all essential in giving you and your girls a true getaway. Leave the hustle and bustle, come to a destination location where fine dining, tranquility, and some quality catch-up time is waiting. When you are with the girls, you can finally share meals the way you want. Order all the appies and share them. What was your favourite? What would you order again? Have a drink on the patio and watch the yachts passing on the Trent-Severn waterway. Share some sinfully delicious desserts with an evening coffee or tea. You could even grab a fine dining picnic for a day of adventure. Now that you have that picnic, why not go for a hike? 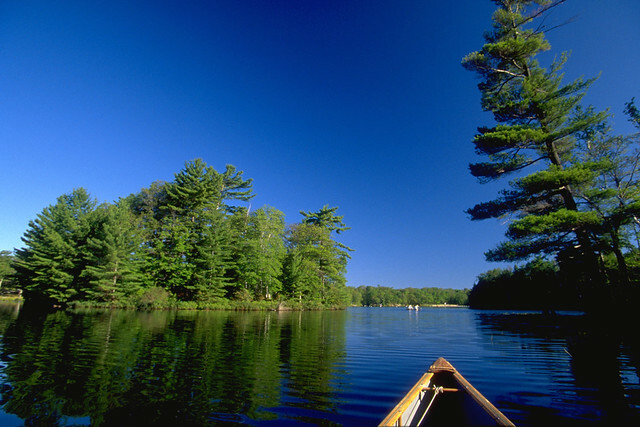 Six Mile Lake Provincial Park is just a short drive from Port Severn. Or, if you want to experience Beausoleil Island, take the DayTripper for a four-hour experience of island trails and beaches. Want to have a lazy, meandering bike ride through Port Severn. We have a fleet of bikes for you and your girlfriends to borrow. Fill up the basket with that picnic and explore. Want to try something new and get out on the water? Do yoga on the water. Yoga With Laura Jane offers group sessions of Stand-Up Paddleboarding Yoga. She also offers classes every Saturday morning at Rawley. We have live music in the piano bar all summer long. Check out our local musicians while enjoying a cocktail. If you want to travel for a show, the Midland Cultural Centre features the Huronia Players Theatre and has live music as well. What better way to treat yourself than a little spa time with the girls. We have a full service spa. You can get a massage, manicures, pedicures, facials, body wraps, or a packages that include a massage and body treatment. If you want to hit the road and treat yourself while experiencing a new side of Muskoka, try Muskoka Lakes Winery. This isn’t your typical winery experience. Take part in their Bog to Bottle Discovery. This tour has been designated a Canadian Signature Experience. See how they farm cranberries, one of Canada’s few native fruits, then taste the delicious fruit wines. Finish the day at the vineyard off by relaxing with a glass of wine and a seasonal local cheese plate on their patio. Truth is that activities are great, but what you really want out of the weekend is some time to catch up. You want to talk, but you need to get cozy. At Rawley we have suites where you can relax in luxury and chill with your friends. Take some time to stargaze fireside. Sit in a Muskoka chair and watch the boats pass or spend the day lounging poolside. There are plenty of options to get comfortable, catch up and enjoy some laughs. One of the best ways to share laughs is with board games. Nothing brings you back to those childhood days with friends like a good game of Monopoly, Clue, or Yahtzee. You might not be playing the same games, but the laughs remain. We have a selection of games for you to borrow, or pack your personal favourites, and play some games! So, take a break and getaway with your favourite friends.